• Vertex side table small (Diameter 40 cm). • Vertex side table medium (Diameter 57 cm). • Vertex side table large (Diameter 57 cm). The beautiful Brown oak side table range features a contemporary design that gives a modernised look to any room. This modern side table set features a high quality dark brown oak wood table top with stainless steel accent feet. 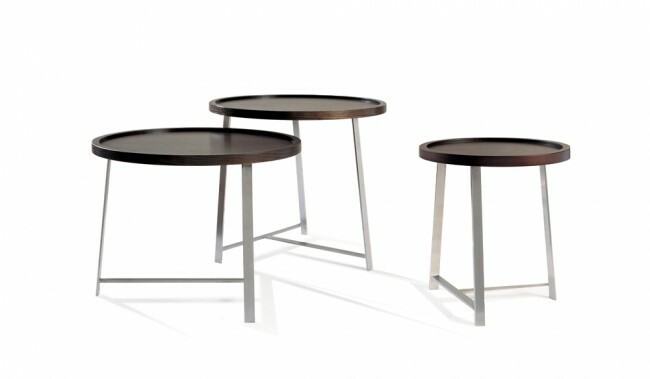 These multifunctional tables look fantastic when used individually or together as a corresponding entity. Feet: Stainless steel metal feet.